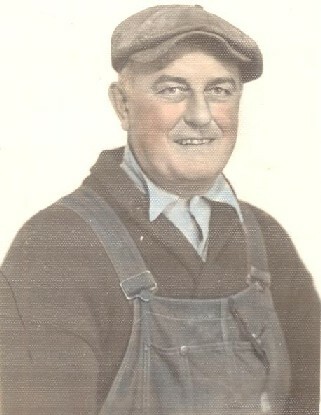 Mio Bisnonno - My great grandfather Antonio Modesto Cunico. Mio Padre - My father Barth Phillip Cunico, Sr.
Un Omaggio a mio Figlio - A tribute to my son Jesse. 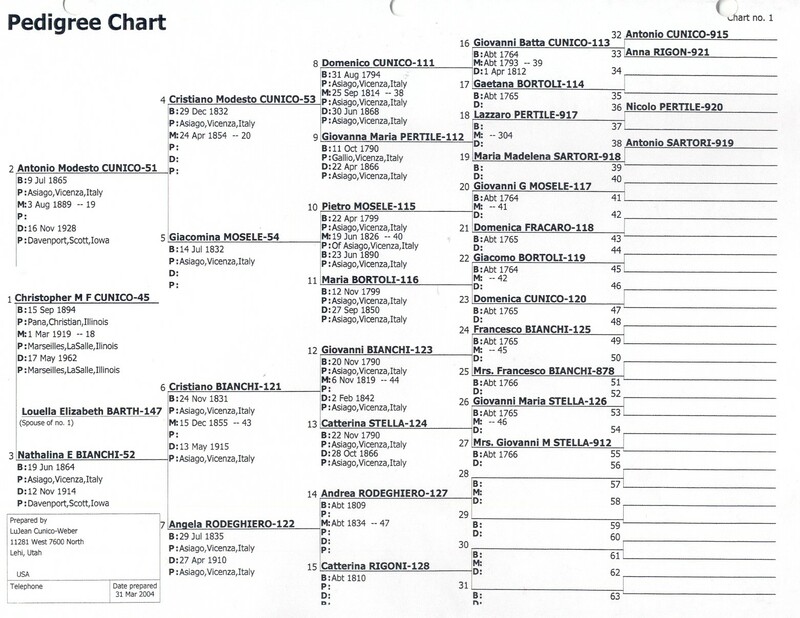 Pedigree Chart - A pedigree chart for my family. Chronological Events - A chronological list of events in Christopher Modesto Cunico's life. History - A history of Christopher Modesto Cunico. Childhood Stories - Stories from the children of Christopher Modesto Cunico. This page is dedicated to my immediate family. They left Asiago for Germany sometime before 1874. They lived in Asfold Hanover or Dresdon Germany and later moved to Fraiberg, Germany. My trisavolo (great great grandfather) Cristiano Modesto Cunico first came to the United States with Antonio Modesto in 1889. Another son (Fortunato Cunico) soon followed. They first settled in the Gogebic Range of Michigan and Wisconsin (Bessemer, Hurley, Ironwood & Iron Mountain) before eventually migrating south to Illinois. 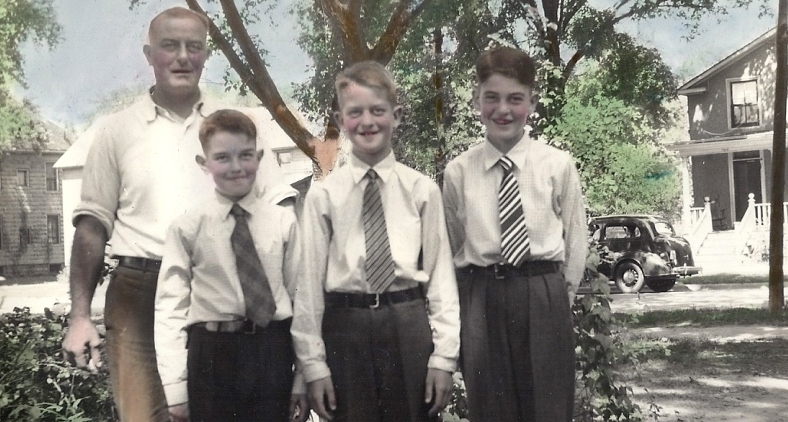 Antonio's family settled in Marseilles, IL and Fortunato's family eventually settled in Ottawa. My ties to Asiago include surnames Bianchi, Bortoli (Giandon and Capuz), Carli, Colpo, Cunico, Dal Sasso, Guglielmi, Mosele, Pertile, Rigon, Rigoni, Sartori, Silvagni. I'm sure there are many, many more via marriage! Antonio is one of nine children of Cristiano Modesto Cunico and Giacomina Mosele. Antonio and his brother Fortunato emigrated to the United States and the rest remained in Italia. 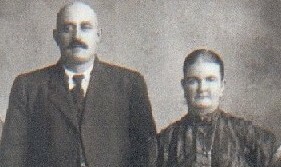 Antonio Modesto Cunico was born July 9 1865 and Natalina Eleanora (often spelled Nathalina) Bianchi was born 19 Jun 1864. Both were born in Asiago. Antonio was part of the mass exodus from Italia in the late 1800’s and he came to the United States in 1889. 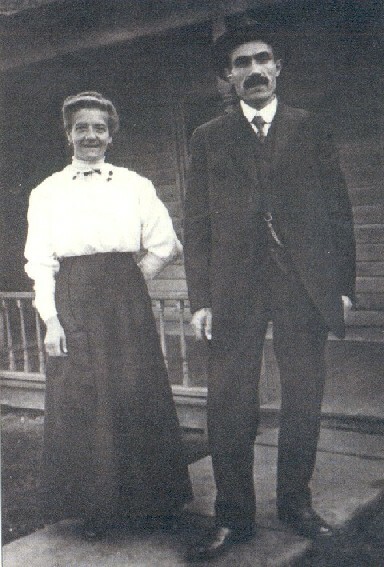 He arrived at Ellis Island and went to work in the mines in Hurley, Wisconsin. From there, he went to the Gogebic Plains of Michigan, and eventually settled in Illinois. 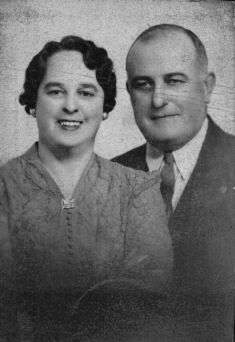 After Natalina died, he married Helma Theolind Tillson. Both Antonio and Helma are buried in the Mt. Calvary Cemetery in St. Marguerites, Iowa. Christopher Modesto Cunico was born on 15 Sep 1894 in Pana, Illinois. His parents were both born in Asiago, Vicenza in the Veneto Region of Italia.